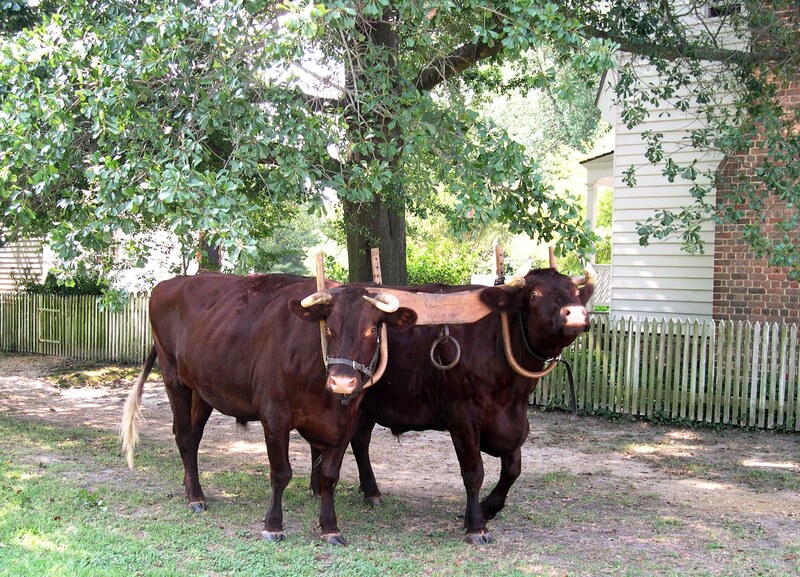 Quiet and strong, two oxen stroll down Duke of Gloucester Street. Recently I read a book that discussed the pervasive effects of technology on how we view ourselves. The author explained that the increasing speed of computer processing leaves us feeling less intelligent when we cannot keep up with the machine’s pace. But he pointed out that humans have capabilities that no machine will ever be able to duplicate, and there is more to ability than speed. Our world seems little inclined to value a slow pace in anything. We expect gadgets, cars, service providers and even schoolchildren to deliver the quick results we want, and waiting for anything taxes our ever-decreasing stores of patience. Pursuits that can be done more rapidly by machine or assembly-line procedures have consigned such arts as sewing, cooking and woodworking to the category of “hobbies” rather than occupations. Sometimes we sense that life is not meant to move at such breakneck speeds, but we feel vaguely guilty and inefficient when we slow down — but even if we are enjoying our deliberate pace, someone else is likely to come along and pressure us to step it up. Exhausted, we fall into bed each night with tomorrow’s “to-do” list nagging at us from a far corner of our brain, if not the front and center of our last waking thoughts. We have heard “time is money” so often that we may begin to think we can never have enough of either. That might be true, but only if we allow it to be. Time pressure can create the illusion that frenzied acceleration will serve us, but haste really does make waste in some circumstances. Power need not depend upon speed; often, it is quiet and steadfast, as with the drops of water that gradually wear away solid rock. Today, I invite you to celebrate with me the beauty of slow things. Turn off the television’s frantic voices of urgency, whether in the news or on commercials, and turn on some Debussy or Brahms or Enya. Fill the kettle to the top and watch the tiny bubbles gradually forming as the water comes to a boil. Breathe deeply, taking in the unique aroma of the fruit or bread or coffee you enjoy. I wish you blissful hours that pass at a relaxing tempo, leaving you serenely smiling at day’s end. That sounds wonderful. I love cozy time indoors! Good post and reminder. I am a very busy woman for one with no job but my busy-ness is never rushed. I revel in my work and in my relaxation each moment. As one comes closer to their last chapters, it’s important to feel each moment and take them in to see what they had to offer. I am NEVER too busy to spend time with a friend or lend an ear. Having a lot to do doesn’t mean you have to rush through it. Time expands when you allow it. Loved the photos of the oxen. I somehow didn’t realize we had them in this country. The last time I saw oxen roaming the roads was in Taiwan and Germany. Wonderful creatures. Slow and strong and gentle. Have a wonderful day, dear heart. Hi Marlene, I’m with you when it comes to a strong preference for staying busy without pressure to go fast. The older I get, the more I value keeping the days as stress-free as possible. I’ve known people who seem to strive on stress, but I’m not one of them. The bovine animals always touch my heart, with their soulful eyes and deliberate movements. Gentle strength is so appealing. Hope you have a wonderful weekend coming up! Here as I type from my parents’ lanai, I can hear my dad preparing dough for a loaf of home-made wheat berry bread. Such are the blessings of an un-hurried morning! Susan, I’m so glad you shared this beautiful slice of life with me. Just reading about it brightens my day. Sunrise, joyful praise and home-made bread– “these are a few of my favorite things” as the song goes. Hooray for a slow pace in the morning, when we (or at least I) often need it most! Enjoyed this post very much…your words actually touched me Julia. I ask God to bless our days to be able to do just what we need to do in these very close, fast pace, short times we have. 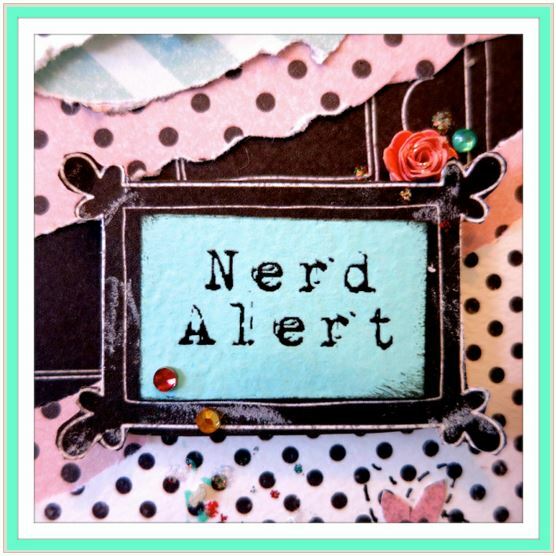 Heba, I’m glad you liked the post! I echo your prayer that we will be blessed with wisdom to use our time well, and the ability to do what we most need to do. I hope you have a wonderful weekend. Thanks for being here! Hello Julia, absolutely spot on thoughts – especially as we approach the crazy season! I recommend everyone read the children’s book previously known as ‘The Grey Gentlemen’ and nowadays simply as ‘Momo’ by Michael Ende – written way back in the 70’s my memory tells me. Do you know it? I haven’t read it since I gave up teaching, but if anything it has become even more pertinent over time to the thoughts expressed in this post. Pauline, thanks so much for the tip about that book! I did some checking, and though it’s an acclaimed title, I can’t find it in the local libraries. I have requested a copy through my Paperback swap account, though. It sounds wonderful. I’ll keep checking for it in other libraries. Hope you have a wonderful weekend! Isn’t Steel Magnolias wonderful? I hope you have a nice relaxing week ahead, to recharge and re-connect with the eastern time zone and HOME. Travel is exciting and fabulous, but it also is TIRING. I’m raising my tea mug to you this morning and wishing you some sunny Verandah time — or if it’s raining, some cozy kitchen time! I love a slow pace, take the time to see and smell the roses. Time to relax. I’ve been crazy busy with a big life change and getting the house on the market which is stressful enough let alone the fact that I don’t want to move so tonight is a relaxing time and I am even enjoying being alone and that does feel powerful. I love the image of the slow, powerful oxen… Although I do love me a fast horse too LOL. I would love to find out what a fast horse is like, but I’m afraid to try it! So sorry to hear your life is stressful right now. Moving can be quite traumatic even when we want to do it. I hope you are able to carve out some alone time for yourself, to relax and connect with the joys that can sometimes be upstaged by the drama. Thanks for making time to be here with us. We seem to have a lot in common. Although I’m a high tech person I’m old school as far as what I choose to give me peace. A walk is better than a run, Outside is better than inside and quiet is better than man made noise. When I travel I carry technology but only use it as a tool, not entertainment or an excuse to tune out those around me. Bob, I like to think of technology as a good servant and a poor master, but it has a tendency to take over the moment I give it an inch. For example, I finally broke down and got a smart phone a few months ago, and already I’ve found myself distracted by it far too often. It’s nice to use waiting time (in lines, at the doctor’s office, etc.) to check email or find addresses and directions for places I need to go, but even doing that takes my focus away from my immediate environment, which is not usually a good thing. Having said that, I’m thankful to have this tool available, but I hope to stick with more traditional pastimes for relaxation. Quiet and strong and also very handsome oxen. “we feel vaguely guilty and inefficient when we slow down” – so true, and that is often what I feel when I finally sit or lie down at the end of the day to relax a bit. Certain self-help gurus too make us feel so(applicable only to those who depend on them for motivation – I sometimes do). But on the other hand certain other writings (like yours 🙂 )remind me to slow down. I am not going to lose much/anything if I don’t do anything for an hour at times. Well expressed, Julia. Thank you Bindu. I think teachers must feel tremendous pressure to make the most of every minute. There is so little time to teach so much, and many students learn slowly. I think we all need an inspirational push now and then, so I too read authors who make it their aim to motivate and stimulate. But I’m finally coming to terms with the fact that, in the end, there is only so much we can do with the limited time we have. The work will always expand to fit whatever time we allow it to fill, so most of us have to prioritize some down time. As Ashleigh Brilliant has said, “If you only do what’s important, you’ll never have any fun…unless you consider having fun important.” I try to remind myself that rest and fun are both very important. I am grateful for your presence here, and for your encouragement! Hope you have a wonderful weekend ahead.